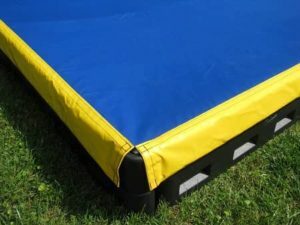 Sandboxes, sand tables, sandbox covers come in all shapes and sizes for your commercial or home playground. All of these sand products are made in the USA, and many can be ordered online. Your kids love sand, and we can help you bring sand fun to your playground. 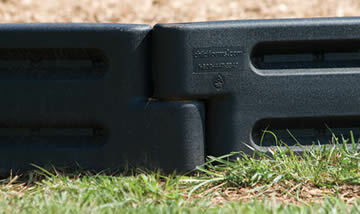 Our SandLock sandboxes are complete packages available in 6 different sizes, including a vinyl cover and chairs. 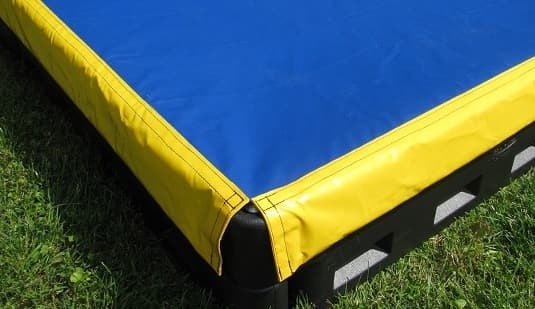 If you need a bigger size, you can make one of any size by connecting together our plastic timbers, available in plain design or stone design. The sand tables bring sand fun to older children. The sand diggers are great for commercial playground fun. Sand play has a therapeutic value for special needs kids, too. We offer three types of sand for playground use, both indoor and outdoor. SandLock Sandboxes :: Pictured left, assemble them by hand, in seconds! Includes cover and kid chairs. These sandboxes come in 3 sizes: 5′ x 5′, 5′ x 10′, and 10′ x 10′. The sandbox panels slot together by hand, for easy assembly. All SandLock sandboxes include mini-chairs for kids to sit on. to make a sandbox of any size. and more. We’re also a member of the National Recreation and Park Association Supply Chain for sandboxes.